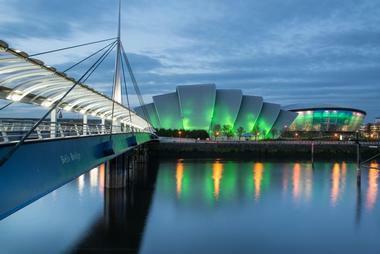 Glasgow is a beautiful and special city in Scotland and it is a popular tourist destination. Winters in Glasgow can be very cold and the days are quite short. Hotel room rates are at their lowest and this makes a good time to visit Glasgow if you don’t mind braving the cold weather. The city is at its warmest and most pleasant in the months between March and August - this is the best time to visit Glasgow. Days are long and sunny blue skies make for a pleasant experience. There can be crowds during this peak season and room rates are at their highest. January is Glasgow’s coldest and wettest month out of the entire year. Low temperature averages are frigid at 34°F (1°C), while the high temperature average barely hits 41°F (5°C). Expected rainfall hits 130 mm for the first month of the year. In February, the average low temperature remains the same as the previous month at just 34°F (1°C). The average high temperature sees a small increase to 43°F (6°C). Additionally, February receives the lowest daily sunshine average with just 5 hours of sunlight daily. March sees both the average high and average low temperature increase by a couple of degrees. Temperatures measure in at 36°F (2°C) for the low temperature average and 45°F (9°C) for the high temperature average. Glasgow Weather in April: Despite being the middle of spring, it’s a relatively dry month for Glasgow in April. The precipitation rate doesn’t exceed 50 mm. The average high temperature sees a nearly 10-degree increase to 54°F (12°C) while the average low temperature sees a minimal increase to 37°F (3°C). In May, the average low temperature and the average high temperature both see significant increases to 43°F (6°C) and 59°F (15°C) respectively. The warmer weather brings longer and sunnier days with an 11 hour daily sunshine average. June marks the beginning of Glasgow’s summer season. The arrival of the new season tows along with it warmer temperature of 48°F (9°C) for the average low temperature and 63°F (17°C) for the average high temperature. Precipitation levels are moderately high at 70 mm. In July, Glasgow receives its warmest weather of the year. The average high temperature is a mild 66°F (19°C) while the average low temperature remains quite cool at 52°F (11°C). July also receives the highest daily average sunshine at 13 hours per day. Glasgow Weather in August: The second warmest month of the year and the last month of summer comes in August. While the average low temperature remains the same at 52°F (11°C), the average high temperature sees a small decrease to 66°F (19°C). September sees 80 mm of rainfall. The high temperature and low temperature averages range between 61°F (16°C) and 48°F (9°C). In October, the downward trends in temperatures persist as the fall season deepens. The average high temperature sees steep decline to 55°F (13°C) while the average low temperature falls to 45°F (7°C). November brings shorter days to Glasgow as winter approaches. Each day receives an average of 6 hours of sunlight while the low and high temperatures both decrease to 37°F (3°C) and 48°F (9°C) respectively. Glasgow Weather in December: It’s a rainy month in December with precipitation rates quite high at 120 mm. The low temperature average sinks to 36°F (2°C) while the high temperature average drops to 43°F (6°C). 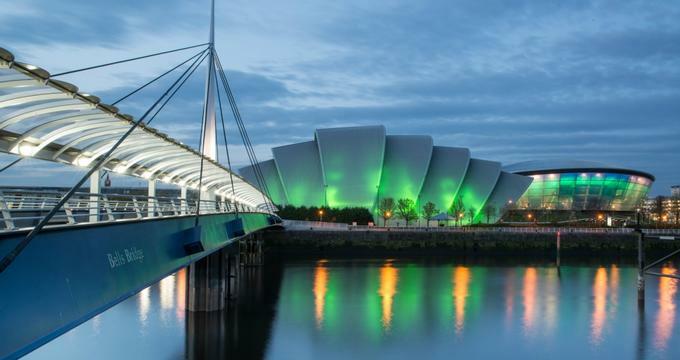 There’s so much to see and do in Glasgow that pretty much any time of the year is a great time to visit. To enjoy the best of Glasgow’s outdoor activities, scenic vistas and countryside, the best time to visit is between the spring months of March to May. Ready to sample the best of Glasgow’s whiskey? The best whiskey tours typically take place between September to October while the festival goers should plan to visit Glasgow in May. If you’re keen on participating or spectating in the various game events of Scotland, make sure to come between the months of June to August. There are three airports that serve Glasgow: the Glasgow Airport, the Glasgow Prestwick Airport, and the Edinburgh Airport. Many people fly into London’s Heathrow Airport and then continue to Glasgow by flight. The United Kingdom has an extensive rail system and Glasgow’s train station is called the Glasgow Central Station. There are three airports that serve Glasgow: the Glasgow Airport, the Glasgow Prestwick Airport, and the Edinburgh Airport. Many people fly into London’s Heathrow Airport and then continue to Glasgow by flight. The United Kingdom has an extensive rail system and Glasgow’s train station is called the Glasgow Central Station. The Glasgow Airport is located just eight miles west of the city. There are several ways to get from the airport into the city. Airport buses travel between the airport and the city center every 10 minutes 24 hours per day: the trip takes about 25 minutes. There are also taxis: the staff at the SPT Travel Desk in the terminal can help visitors with information about the buses and the taxis. The Glasgow Prestwick Airport is located 32 miles southwest of the city. There is a train station with three trains per hour as well as an express bus service. Glasgow can be reached from Edinburgh Airport by car, bus, taxi, or train. Glasgow offers a variety of forms of public transportation. Buses are operated by The First Group: these buses cover central Glasgow, and Greater Glasgow from Loch Lomond to Lanark. You can buy individual tickets or day and week passes. Glasgow’s subway is called the Clockwork Orange. It is made up of two circular routes one running clockwise and the other running counter-clockwise: subway trains run every five minutes during peak times. The SPT “Roundabout” ticket allows one day unlimited travel on the subway as well as on the trains: there are more than 110 subway and train stations in Glasgow. Many of Glasgow’s main attractions can be seen by walking: it is a compact city built on a grid system. There is a walking tour called Glasgow Walking app that includes information about some of the sights along the way. Getting around the Greater Glasgow area is easily done by taxi: Glasgow taxi drivers are known for their friendliness. Taxis are black: if the yellow light is on they can be flagged down on the street. Cycling is another option to see Glasgow’s attractions. Nextbike Glasgow offers 400 bikes in 43 locations. Cars can be rented at the Glasgow Airport and on Waterloo Street in the city center. Glasgow’s dining scene is vibrant and full of diversity. One of its best attributes is in its use of locally caught and grown products. 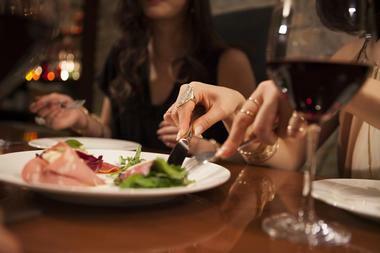 Seafood and shellfish are an important part of the Glasgow cuisine as are game and beef. Other locally grown products include fruit and vegetables. Put this all together with young creative chefs and you have some very special dining experiences. There are many choices of restaurants and most of these are located from the Merchant City District across to the West End. Some of the choices for ethnic restaurants include Chinese, Italian, Spanish, and South Asian especially Punjabis. 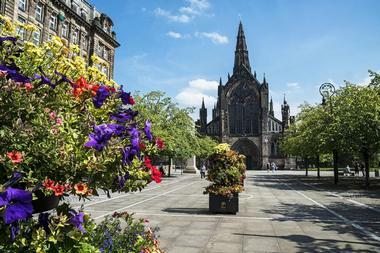 While London is the shopping capital of the United Kingdom and is at least ten times bigger than Glasgow, this small city in Scotland boasts of having the second most retail space in all of the U.K. This is quite impressive! Many people visit Glasgow with the single purpose of shopping on Glasgow’s Buchanan Street. The shopping area is a pedestrian zone centered around Buchanan, Argyle, and Sauchiehall Streets in the heart of the city. 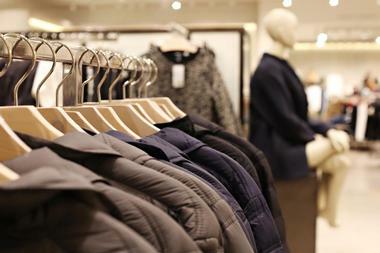 But Merchant City and the West End are also areas for shoppers to explore. Visitors who enjoy flea markets will want to explore the weekend Barras Market in the East End. While Glasgow is a compact city, it is still made up of several distinct neighborhoods each with its own special ambience. Because it is compact, it is easy to explore any or all of these neighborhoods. 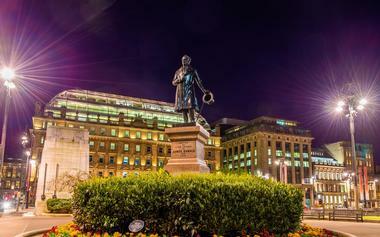 The City Centre includes the 1787 George Square, the shopping “Style Mile,” and the University of Strathclyde. The East End is known for its breweries, Glasgow Green which is the city’s oldest park, Glasgow Cathedral, and design studios. The West End is the cobblestoned hip part of the city with its Botanical Gardens, Kelvingrove Park, Art Gallery and Museum, and the University of Glasgow. Glasgow is a beautiful city and is a wonderful place for a wedding. The paperwork for obtaining a marriage license is minimal and can be done at the Service Desk of the Glasgow City Council. 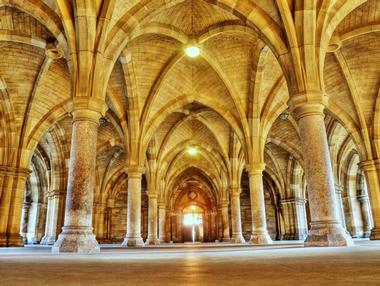 Glasgow is home to some spectacular wedding venues. Some of the top hotel venues include the impressive Mar Hall Golf and Spa Resort, the five star luxury Blythswood Square, Boclair House Hotel, the Redhurst Hotel, and more. There are castles all around Glasgow and these make the perfect romantic setting for a wedding. Some of the castles include Cornhill Castle, Crossbasket Castle, Sherbrooke Castle Hotel, and more. 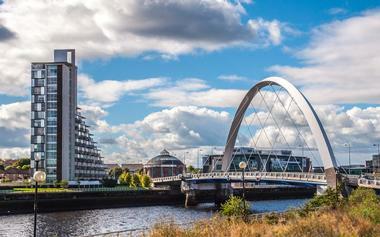 There are more than 7,000 rooms in the center of Glasgow and more than 18,000 rooms in the Greater Glasgow area. 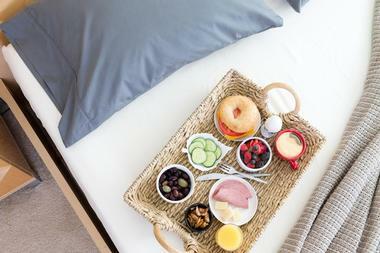 Glasgow offers a wide range of accommodations from five star luxury properties to bed and breakfasts and guest houses. Luxury properties include the Blythswood Square, Radisson Blu Hotel Glasgow, Apex City of Glasgow Hotel, Ashtree House Hotel, and more. There are many choices for visitors on a budget or for families including the Best Western Glasgow City Hotel, the Campanile Hotel Glasgow, Holiday Inn, the Ibis Budget Hotel Glasgow, and more. There are also hostels such as the Euro Hostel Glasgow. What is the first word that comes to mind when considering a vacation to Scotland? Golf. This northernmost country of the United Kingdom is the birthplace of the game, dating back to the 1400s. Golf enthusiasts will find some of the best courses in the world here. But that's not all visitors will experience in Scotland. It's an enchanting mix of mountainous wilderness, verdant valleys, and deep lochs. There are castles galore, especially in Aberdeenshire. Falkirk Wheel is an engineering marvel that must be experienced. There are whisky distillery tours, boat and railway tours, botanic gardens, and the vibrant cities of Glasgow and Edinburgh. Here are 25 attractions to kickstart your Scottish adventure. The Isle of Arran is Scotland's seventh largest island, an hour's ferry ride away from the mainland. Visitors will want to hit a few island highlights. Brodick Castle tops the list of things to do with guided or self-guided tours of the castle. The Heritage Museum at Rosaburn is another great choice. Those who favor "the big picture" may appreciate a narrated boat ride around the island starting at Lamlash. Active travelers will get their thrills climbing to the 2,800-foot summit of Goat Fell for spectacular views. Others may prefer a distillery tour or golfing. There's plenty more to do here. National Geographic magazine named Isle of Skye the fourth best island in the world, and for good reason. It is an island of extremes from seaside cliffs to white coral beaches and majestic mountains to bottomless lochs in the north. The rocky mountains of Cuillin in the island's center offer rugged mountaineering opportunities. The island's southern end, referred to as the Garden of Skye, has a temperate climate, verdant fields, and palm trees. There are villages tucked here and there across the island as well as museums and visitors centers, castles, craftsmen heritage from stone carving to wool spinning, distilleries, abundant wildlife, and natural beauty. Edinburgh Castle is an enthralling historic site in the center of Scotland's energetic capital settled atop a steep slope overlooking the city. Its roots date back to the Iron Age, when warriors immediately understood the military advantage of this rock. Throughout history, many battles were waged and fought by various kingdoms in order to take this iconic and architecturally stunning castle. Today, visitors are welcome to take a self-guided audio tour or a free expert guided tour through the castle, where they will learn about its rich history, from the people who lived within its walls to the events that occurred there. The Falkirk Wheel is a remarkable engineering wonder. It is the only fully rotating boatlift in the world and is already receiving acclaim, including the Engineering Heritage Award. The Falkirk Wheel is a symbolic landmark displaying the depth of Scotland's traditional engineering skills. This exceptional mechanical marvel was created to connect Union Canal to the Forth & Clyde Canal, which until 1933 had been connected by a series of 11 locks. Guests take a 50-minute boat ride along the Forth & Clyde Canal to the Falkirk Wheel, ascending to connect with the Union Canal before returning to the visitors center. Over five million visitors have experienced the Falkirk Wheel. The Glasgow Science Center has three floors of challenging hands-on science exhibits in its Science Mall. The first floor is home to the most popular exhibits, where kids and adults alike can experiment with science. The second floor is dedicated to the future of energy with the Powering the Future exhibits, and the third-floor BodyWorks exhibits are all about the human body. Beyond the Science Mall, the center also has a full dome digital planetarium, the largest IMAX theater in Scotland, and Glasgow Tower - the world's only fully rotating building. There are live demonstrations and performances in the Science Show Theater as well as a museum café and gift shop. Glencoe in the West Scottish Highlands is an ideal location for an exciting family vacation, a challenging adventure outing with friends, or a romantic getaway for couples. Kinlochleven is the main attraction, with stunning mountain scenery, rivers, lochs, and The Ice Factor - the world's largest ice climbing arena. Visitors can also do geocaching, cycling, hiking, and boating. There are fast boat rides, Segway tours, and summer tubing. Visitors can join adventure activities like archery, climbing, and mountain biking at the outdoor adventure center. Golf in the summer and ski in the winter; this is a year-round, family-fun getaway. It's easy to explore the best of Scotland with Great Scenic Rail Journeys by ScotRail. They've planned six distinctive travel routes that give visitors a new and different taste of Scotland with each train ride. Travelers will marvel at the picturesque Scottish Borders land of Sir Walter Scott on the Borders Railway. The Far North Line traverses the North Sea coastal area's golf courses, distilleries, and salmon rivers. The Stranraer Line explores the museums, castles, and golf courses of Burns country, and the Carlisle Line rolls through farmlands and forests, past battlefields to historic Carlisle. The Kyle Line traverses coast to coast through the Highlands, and the West Highland Line provides a Harry Potter-worthy experience. Holyrood Palace is Her Majesty the Queen's official residence in Scotland. Visitors can tour Mary, Queen of Scot's Chambers, the Great Gallery with portraits of the kings of Scotland painted by Jacob de Wet, the State Rooms, and the Queen's Bedchamber, among other highlights. The palace is filled with historical relics from each monarch who's lived there, including the Darnley Jewel and the Darnley Bed. There are over 100 relics in the Great Gallery and 80 in the Great Stair. History and royalty buffs will adore this home of Scottish royal history. Self-guided audio tours last from 1 to 1.5 hours; the Café at the Palace is available for light bites. Kelvingrove Art Gallery and Museum is one of Scotland's favorite attractions. The museum opened in 1901 and has 22 themed galleries with 8,000 objects across a wide-ranging collection. Visitors will find Dutch Old Masters, French Impressionists, arms and armor, Scottish art, Scottish art nouveau and Charles Rennie Mackintosh, Scottish history and archaeology, world cultures, natural history, and an ancient Egypt collection. Museum guests will also find Salvador Dali's Christ of St. John of the Cross here. The Spanish baroque architecture of the building alone is worthy of a visit. Guests can download a tour guide app to their smartphones or join a docent-led tour. Admission is free. The Old and New Towns of Edinburgh are among the most beautiful cityscapes in Europe and have been named a UNESCO World Heritage Site. Princes Street Garden sits at the heart of the site, with Edinburgh Castle at the west end. The floral clock, one of the first in the world, was planted in 1903. 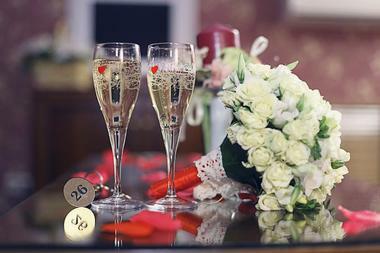 A floral clock is the combination of a clock and a carpet of flowers that cover its face. Each year, the planting scheme changes. The colorful clock face uses a variety of foliage and flowers that total 30,000 plants. Visitors will also find a collection of diverse memorials and monuments that add to its World Heritage status. Riverside Museum, named European Museum of the Year in 2013, is located on the north bank of the River Clyde. 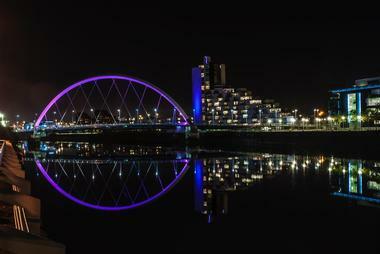 The contemporary wave-like design is open-ended and meant to symbolically connect Glasgow to the river. Inside, exhibits tell the story of Glasgow's rich maritime history and local life at the turn of the 20th century. Visitors can expect a wide range of vintage objects, including skateboards, bicycles, tricycles, baby prams, trams, trains, and cars - 3,000 objects in total. The tall ship berthed outside the museum on the River Clyde is the only Clyde-built sailing ship in the UK. The museum offers guided tours and has a café and coffee shop. Royal Botanic Garden Edinburgh, established in 1670, sits on 70 acres of natural splendor not far from the city's center. Visitors will encounter a large collection of wild-origin Chinese plants, a heath garden reflecting the Scottish highlands, and a rock garden with over 5,000 alpine plants. The Queen Mother's Memorial Garden was added in 2006. Twenty-eight glass houses, including the Victorian Tropical Palm House (the world's largest) and the Temperate Palm House, showcase palms, orchids and cycads, ferns, temperate, rainforest, and arid plants, among others. Benmore, Dawyck, and Logan Botanic Gardens were added, making the collective gardens one of the world's largest living displays. The Royal Mile consists of a series of streets that form a main thoroughfare through the Old Town from Edinburgh Castle to Holyrood Palace. The connected streets that make up the Royal Mile are Castlehill, Lawnmarket, High Street, Canongate, and Abbey Strand. It is Scotland's busiest tourist area in Old Town, similar to Princes Street in New Town, and slopes downhill from the castle to the palace. The historic street has many significant buildings along the way, some of which have been repurposed for modern businesses. Today, the street is dominated by cafés, restaurants, bars, pubs, shops, and other tourist-oriented businesses. A trip to Scotland is incomplete without a visit to the Royal Yacht Britannia, Her Majesty the Queen's floating residence. Self-guided audio tours of the ship's five main decks can be tailored to visitors' needs. Those with little time could tour the State Apartments on the Gold Level, the crew's quarters, and visitors center. The recommended tour is 2 to 3 hours, where guests can tour all five decks and make a stop at the Royal Deck Tea Room. Half-day tours allow for the same experience at a more casual pace. Other highlights include the onboard Rolls-Royce, the sun lounge, the engine room, and a LEGO model of the ship. Scotland's Castle Trail is a self-driving tour of Aberdeenshire, aka Scotland's Castle Country. Those who follow the whole 311-mile trail in the suggested 6-day itinerary will have seen 19 of the most dramatic castles in Aberdeenshire. Castles and mansion houses on the trail include the fairytale Crathes Castle, Dunnottar Castle - the film location for Hamlet - the painted ceilings of Delgatie Castle, Balmoral Castle where the Royal Family vacations, and Craigievar Castle, another fairytale experience. Travelers on this 6-day tour will of course need accommodations each night and the choices are many, from guest houses to eco accommodations. Those looking for the full castle experience can even book their stays in castles. Scottish Island Hopping Tours range from 8 to 17 days. Travelers looking for a more comprehensive Scottish travel experience may want to join one of these. The shortest tour, the Scotland Whisky Coast Tour, takes guests to the isles of Islay, Mull, Iona, Staffa, and Skye. The longest tour includes these islands plus the Orkney archipelago, Ullapool, the Gaelic culture of Lewis, and Harris with its mountains and white sand beaches. There are six multi-day itineraries available. All tours leave from Edinburgh, and overnight stays are at the different islands on each itinerary. Scottish Island Hopping Tours are presented by Go Scotland Tours. The Scottish National Gallery has some of most masterful fine art pieces in the world, including works by Vermeer, Rembrandt, Monet, Van Gogh, and Gauguin. The history of Scottish painting is well documented with masters like Raeburn, Wilkie, Ramsay, and McTaggart. The gallery is situated in two adjacent buildings - the National Gallery Building and the Royal Scottish Academy Building - connected by an underground Garden Level. Skating on Duddingston Loch by Scottish painter Sir Henry Raeburn is one of the most cherished pieces. Prints are available in the museum gift shop. Guests can visit the Scottish Café & Restaurant for fine dining or the Garden Café for a light bite. The Scottish National Gallery of Modern Art is an impressive venue both architecturally and artistically. The grounds were beautifully landscaped by Charles Jencks, and feature a majestic sculpture park and small pond. The museum has two buildings: Modern One, a neoclassical structure showcasing modern and contemporary art, and Modern Two, which was built in 1833. It houses a broad collection of surrealist and Dada art as well as the works of sculptor Eduardo Paolozzi. The Pig Rock Bothy also sits on the Modern One estate, which features ever-changing events, performances, and discussions. Both Modern One and Two provide cafés and gift shops. Skara Brae is a neolithic village on the Bay o' Skaill's southern shore in the parish of Sandwick on the west of Mainland, the largest of the Orkney Islands. It is one of the most visited ancient sites in Orkney, and one of the most astounding prehistoric monuments in all of Europe. After a storm hit Orkney in 1850, it revealed the forms of several stone buildings, intriguing William Watt into begin excavating the site. By 1868, the remnants of four old homes were revealed. By the 1930s, eight dwellings connected by an array of low enclosed passages had been uncovered and had been almost perfectly preserved by the sand that covered them. St. Andrews Cathedral is the largest and most impressive medieval church is Scotland. Although it is in a somewhat ruinous state, it continues to be an iconic landmark in the United Kingdom. The site itself dates back to the 700s and was the command post of the medieval Scottish church ruling the region until 1560. Sitting atop a hillside that overlooks the North Sea, the cathedral showcases several sculptures and various relics from medieval times, offering both beauty and history to its visitors. Guests are also welcome to climb to the top of the St. Rule's Tower for picturesque views of Fife and St. Andrews. St. Giles Cathedral is the prominent City Church of Edinburgh. Standing along the Royal Mile, it is between the Palace of Holyroodhouse and Edinburgh Castle. It is known as the Mother Church of Presbyterianism and houses the Chapel of the Order of the Thistle, Scotland's gallant assembly of knights chosen by the Queen. There are several striking features throughout the cathedral, including medieval stonework, stained-glass windows, and the Holy Table, among other attractive details. Guests are welcome onto the grounds to explore its rich history by themselves, or they can organize a small group and take a guided tour. Stirling Castle was an essential piece of Scotland's kingdom, a forceful palace above the River Forth where the Lowland and Highlands met. With ancient origins, this castle grew into a dominant stronghold and royal residence throughout many centuries. The Wars of Independence caused its ownership to change hands a whopping eight times within a 50-year period. Many famous battles took place just outside its walls, including Bannockburn and Stirling Bridge, making this a building of extreme significance. Today, guests can tour these impressive grounds via a self-guided audio tour or with an expert guide who will share stories and interesting facts about its rich history. The Jacobite is known as one of the world's greatest journeys, an 84-mile roundtrip train ride that takes guests past a multitude of impressive sites. The excursion begins close to Ben Nevis, the highest mountain in the United Kingdom, heads to Arisaig, the westernmost mainland railway station in the UK, before closely passing Loch Morar, the deepest freshwater loch. The locomotive will then pass by the River Morar, the shortest river in the UK, before lastly passing by Loch Nevis, the deepest seawater loch in all of Europe. The train will also stop at Glenfinnan, a village made famous due to its appearance in Harry Potter films. The Helix parkland features over 300 miles of cycling paths that can be found throughout the park and surrounding area; it's ideal for joggers, walkers, and cyclists. Visitors will find an array of routes in the park, such as the 16-mile Helix Around Town Tour, which begins at the Helix, passes by the Falkirk Wheel, and flows through Callendar Park. Helix is connected by two National Cycle Routes and the John Muir Trail, making it an ideal area to explore. The park is also home to the majestic Kelpies - the two biggest equine sculptures in the world, made with over 300 tons of steel. Urquhart Castle is nestled in the center of the beautiful Great Glen on the shore of Loch Ness; it was once one of the biggest castles in Scotland. Guests who visit Urquhart will discover over 1,000 years of gripping history, including the more than 500 years its inhabitants spent in conflict when it served as a medieval fortress. The control of this castle was always changing, bouncing between the English and Scots amid the Wars of Independence. These power struggles continued well into the 1500s before it was eventually blown up. Today, its iconic remains are open for the public to tour.